There has been a growing swell of criticism in the Dutch media and society at large about the unwanted side-effects of internationalisation in the Netherlands. This includes a shortage of accommodation for international students, fears that English will eventually come to dominate academic life in Holland, and the high number of German and Chinese students. 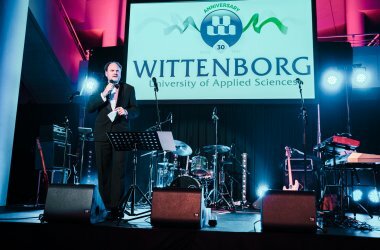 There has also been international disasters like the University of Groningen’s recent failed venture in China, which compelled the management of Wittenborg University of Applied Sciences to write a letter of complaint to the ministry of education bemoaning the damage that has been caused to the reputation of Dutch institutions abroad. Meanwhile, the Ministry of Education, Culture and Science (OWC) wants a “better grip” on the activities of Nuffic, the Dutch agency promoting internationalisation in higher education. Therefore, the ministry has asked the internal auditor of the Dutch government (Auditdienst Rijk) to compile a report that will provide insight on improving the guidance the ministry provides to Nuffic, and to clarify the accountability it requires from the agency. This report has just been released, receiving coverage in, among others, ScienceGuide this week – it is based on interviews with several employees within the OWC. The ministry has been subsidising Nuffic for the past 60 years. In the 2017-budget it was allocated €19.3 million. From the report it appears the ministry and Nuffic are not always on the same page when it comes to priorities in terms of international education. “Some of the interviewees are of the opinion that Nuffic sometimes take autonomous decisions without considering whether it matches the political-management goals of the OWC, leading to discrepancies. Until recently there has been very little guidance in terms of performance from the OWC towards Nuffic. The OWC approves the activities plan of Nuffic and the accountability part is done through the annual report,” the audit reads. The report provides a series of recommendations for improving the working relationship between Nuffic and the OWC. The minister of education, Ingrid van Engelshoeven, is expected to bring out a report in the summer on the way forward in terms of internationalisation.